Category: Calipore Outdoor Foams, Domestic Appliances, Outdoor Seating. 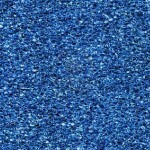 Calipore Outdoor is a fast drying reticulated foam. It consists of large, open pores allowing maximum water drainage and air circulation, pemitting use quickly after being wet or even saturated. Calipore Outdoor is long lasting and consists of anti-bacterial additives which are harmless to the environment and fully in line with European regulations. Calipore Outdoor is a unique product, specifically designed for your ultimate outdoor comfort experience. With quick drying properties and an enhanced resistance to bacterial growth and fungi, this open cell polyurethane foam is highly comfortable foam for use in outdoor seating. Quite simply, this polyether polyurethane foam is perfect for outdoor cushions. 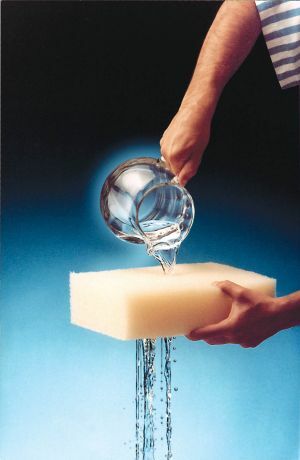 At Custom Foam, we have been supplying this foam to the market for many years which means our technical sales team carry a vast amount of knowledge on the product. The foam will dry almost immediately after exposure to rain, salt spray, snow, morning dew, washing or other forms of moisture and humidity. The foams large open pores allow for maximum water drainage and air circulation. This means the foam can be used once again soon after being made wet or even saturated. This means that buy purchasing Calipore Outdoor from Custom Foams, you will achieve the best of both worlds; long lasting wear and comfort that are combined with extremely fast drying properties. Unlike similar products that you will find on the market for similar applications, Calipore Outdoor is equipped with state of the art Nano-Silver based anti-bacterial and anti-fungal properties which are not only harmless to the environment but also comply with European regulations. 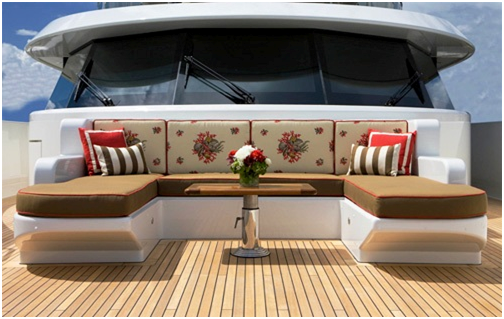 The picture above shows outdoor cushioning on a yacht. This is just one example of where Calipore Outdoor foam is used. 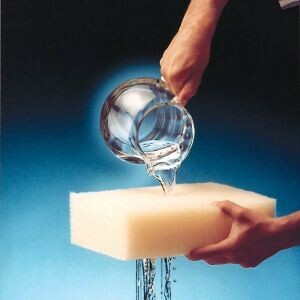 At Custom Foams, we can supply this foam and many others in a wide range of shapes and sizes. We ensure that all orders placed with us are cut from scratch meaning that your products will be made from fresh batches of materials that are thoroughly inspected before, during and after the cutting processes. 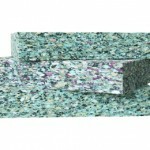 We can convert Calipore Outdoor to supply as full blocks, slit sheets, cut pads, or intricate shapes. We have state of the art cutting machinery that allows as to cut your foam to tight tolerances, achieving a high quality finish each and every time. For further information, prices or a sample of the Calipore Outdoor foam, please contact our sales department today on 01908 312331 and we will be happy to assist you.